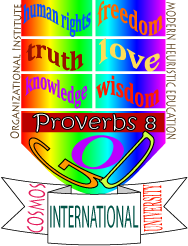 Welcome to Theology and Christian Ministry department of Cosmos International University! We offer Doctor of Christian Ministry (DMin) to special people who meet the following requirements. 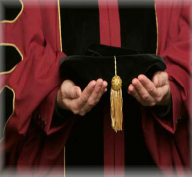 Recipient of this honorary doctorate degree will have the opportunity of going abroad. Recipients of DMin who are from western countries and developing countries will have to pay the fee for graduation ceremony, certification, assessment and registration. There is a possibility of waiving the required payment if the recipient of honorary DMin comes from an under developed Asian country. Consideration will be made upon special request only. 1. Candidate shall have 30 years of service as a missionary to pastor a church congregation, to plant churches or to evangelize the unbelievers, or as a professional physician to look after and to take care of the poor and needy patients in rural areas. Running service companies, establishing manufacturing companies, creating jobs and employment opportunities for Christians in a country for 30 years may qualify a candidate for the DMin as well. 2. Candidates who have experience in running school, teaching at an institution or doing a kind of development in a community or society for 30 years at the least can also be made qualified for honorary DMin. 3. Candidate shall be 55 years old at the time of receiving this honorary D.Min. degree. 4. He or she shall be healthy but it is optional. Honorary DMin can also be offered as a posthumous award in honor of an action associated with his or her death or long-term service. 5. Candidates shall also submit an autobiography written in his or her mother language along with a copy of translation in English to the president of Cosmos International University, and he or she shall successfully pass the assessment six months before receiving the DMin. This is an important requirement that will let the assessment committee know the candidate is worthy of honor with the Doctor of Christian Ministry degree. 6. Candidate shall be an outstanding local or international Christian leader. Remember, DMin is only for Christian leaders who have a life-time or long-term commitment in serving God and His people on earth. 7. Candidate shall have four years theological studies at a Theological College or Seminary, and he shall be able to read and write the English language well so that he will be able to preach or give speech in the church in English. Please send your information to info@ciuac.org or contact incharge or department head of Theology and Christian Ministry of Cosmos International University if you are interested in getting the D.Min. May the Lord our God bless you! Note: Dr. Zam Lam Thang has been incharge of Theology and Christian Ministry Department since November 2011. You may also contact him via his email address i.e. dzlthang@ciuac.org .